We make this stuff up! | TFI Envision, Inc.
We make this stuff up! Home / Archive / The News / We make this stuff up! Norwalk, CT — TFI Envision hosted an evening of creative activities and conversation to launch a new website called PinkImperfection.com. 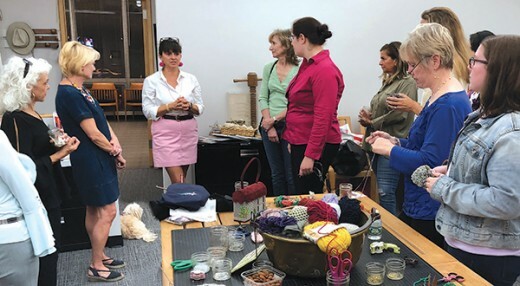 The guests all shared a common interest in any type of fiber craft and art, including knitting, embroidery, needlepoint, sewing, crocheting, beading, quilting, felting and weaving. Each guest had the opportunity to share their interests and examples of their own work, as well as participate in a craft project using yarn. 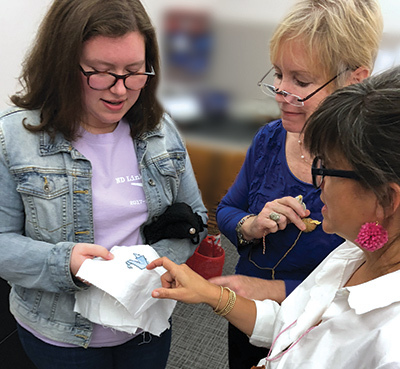 “Two of my daughters joined me and shared their love of handmade fiber art and craft, even showing the group their own fiber projects. We are looking forward to the next Pink Imperfection event and continued collaboration with this engaging, and growing group.” said Amy Pollard, Office Manager at TFI Envision. Pink Imperfection was created by Rebecca Fretty, who wanted to share her passion for making things. 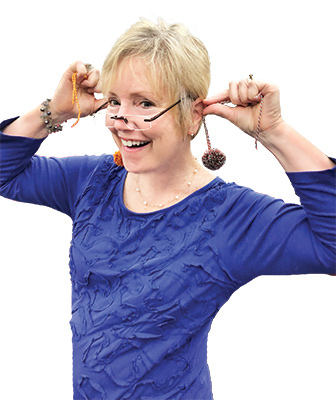 “My hope is that everyone that visits PinkImperfection.com will share their favorite yarn and needlepoint shops, teachers, festivals and retreats so that this can become a resource for all of us to discover and learn more about the farmers, shop owners, pattern and canvas artists that feed our maker passion. Ultimately, the goal is to become truly farm to needle connected and of course make new friends!” said Fretty. An ardent marketing executive, Rebecca is highly accomplished in profitably growing new and mature businesses. In addition to the website, Pink Imperfection also has an active social media presence on Facebook, Pinterest and Instagram. • Perform monthly breast self-exams, starting at age 20. • Have a clinical breast exam at least every 3 years(annually after 40). • Have annual screening mammograms beginning at age 40, earlier if you have a family history of breast cancer or other concerns about your personal risk.